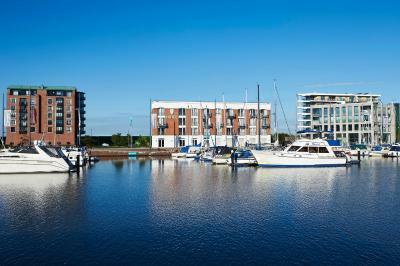 Lock in a great price for Im-Jaich Hotel Bremerhaven – rated 9.1 by recent guests! Breakfast was fantastic. Included espresso and a nice assortment of breads and meats and fruit. Staff were all super friendly. Location was great as well very close to everything. We walked everywhere. 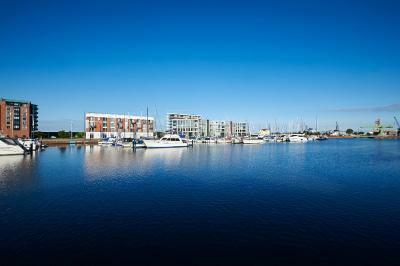 Fantastic harbour view, spotlessly clean and very well appointed room. The breakfast had an excellent selection of quality products. 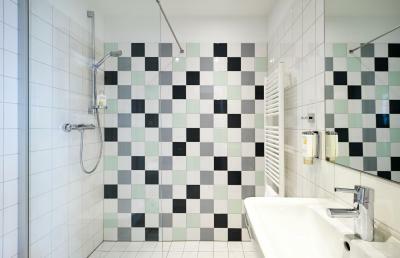 Comfortable, modern hotel, conveniently situated close to Bremerhaven's very interesting tourist and entertainment centre. The outlook and location is second to none, the rooms are stylish and very comfortable. The breakfast is good. Lockup storage for bikes is available. Very professional staff. Room was very clean and comfortable. Breakfast - very good. Hotel seemed new and very clean and simple. Staff all very nice from start to finish, check in process was easy and straight forward even with an unexpectedly late check in due to train delays. One of our best sellers in Bremerhaven! Located just 2,650 feet from the center of the city, Im-Jaich Hotel Bremerhaven offers comfortable accommodations directly at the North Sea coast. Free Wi-Fi internet access is available throughout. 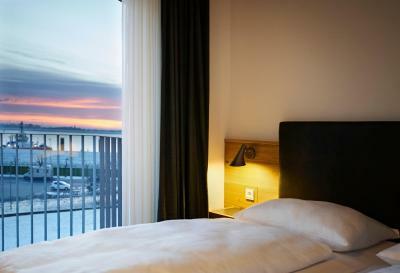 All rooms at Im-Jaich Hotel Bremerhaven have panoramic windows, and feature satellite TV, and an private bathroom with a hairdryer and complimentary toiletries. Some include a balcony. 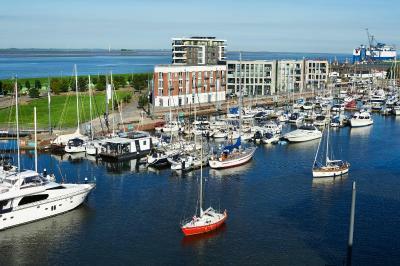 The hotel overlooks Bremerhaven Yacht Harbor, and it is a 15-minute walk to the zoo. 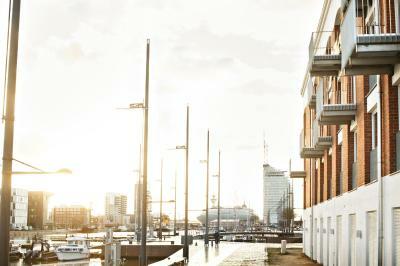 The German Maritime Museum is 1.2 mi away, and back at the hotel guests are welcome to relax on the terrace. A breakfast buffet is offered each morning, and there is a café which offers hot drinks and homemade cakes. Within a 5-minute walk of the hotel, there are several restaurants offering German and Italian cuisine. 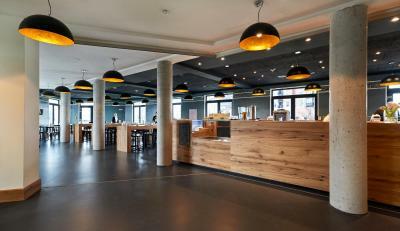 Im-Jaich Hotel is 2.2 mi from Bremerhaven Train Station, and 37 mi from Bremen Airport. The A27 motorway is 10-minute drive away, and free parking is available on site at the hotel. 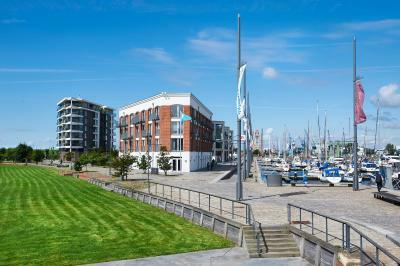 This property also has one of the top-rated locations in Bremerhaven! Guests are happier about it compared to other properties in the area. 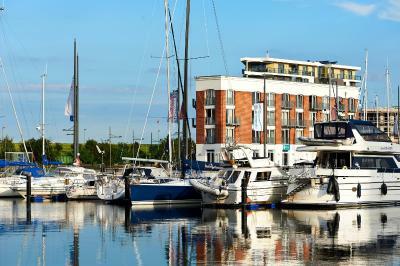 When would you like to stay at Im-Jaich Hotel Bremerhaven? Featuring panoramic windows, the room includes satellite TV and has an private bathroom with a hairdryer and complimentary toiletries. Featuring panoramic, the room includes satellite TV and has an private bathroom with a hairdryer and complimentary toiletries. 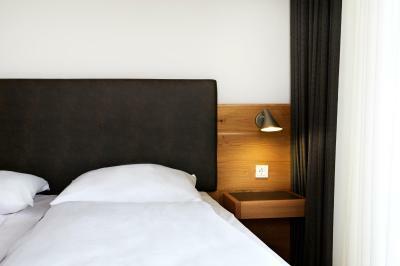 Stylish rooms with solid oak furniture; floor-to-ceiling windows with a view of the yacht harbour, River Weser or the embankment; free WiFi in all areas; on-site parking; home-baked cakes. 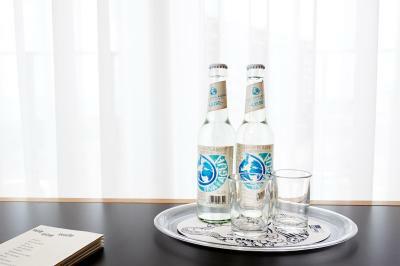 House Rules Im-Jaich Hotel Bremerhaven takes special requests – add in the next step! Im-Jaich Hotel Bremerhaven accepts these cards and reserves the right to temporarily hold an amount prior to arrival. Please note that the hotel address is currently not marked on satellite navigation systems. The hotel is located directly on the North Sea. Guests coming by car should access the hotel via Lloydstraße, turning right into Barkhausenstraße, turning left into Schleusenstraße and then left into Am Neuen Hafen. Great staff, excellent service, super clean room. It wasn't, at first, clear to us that the hotel's well-reviewed bistro is in a nearby sister apartment block. And we would have liked tea/coffee making facilities in the room. Breakfast in the weekends starts too late. (half the hotel was waiting for doors to breakfast area to be opened). Very good and comfortable hotel. Would have been better if food and drink was served other than just breakfast, especially of an evening with the weather being particularly bad, not knowing the area and not much else around/near the hotel.